Juniors Printed Diaper Bag with Zip Closure | Multicolour | Ideal for travelling . 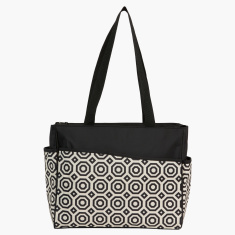 Carry your baby essentials in style by choosing this printed diaper bag. 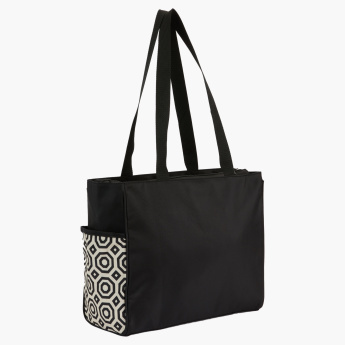 Sporting a top zip closure and a large front pocket, this bag offers easy and quick access. 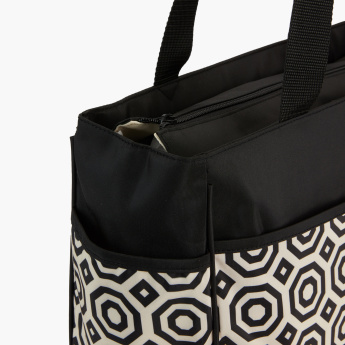 It has a side pocket to hold bottles and a long shoulder strap for easy carrying. Feature 3 : Side bottle pocket with long shoulder strap . 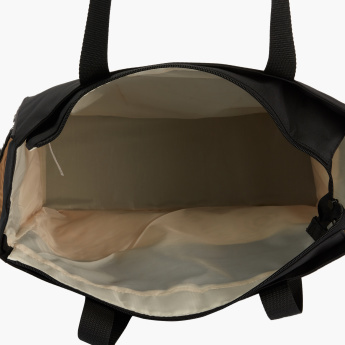 Feature 2 : Top zipper for quicker access and large front pocket .